thank you for reading my life-blog again! 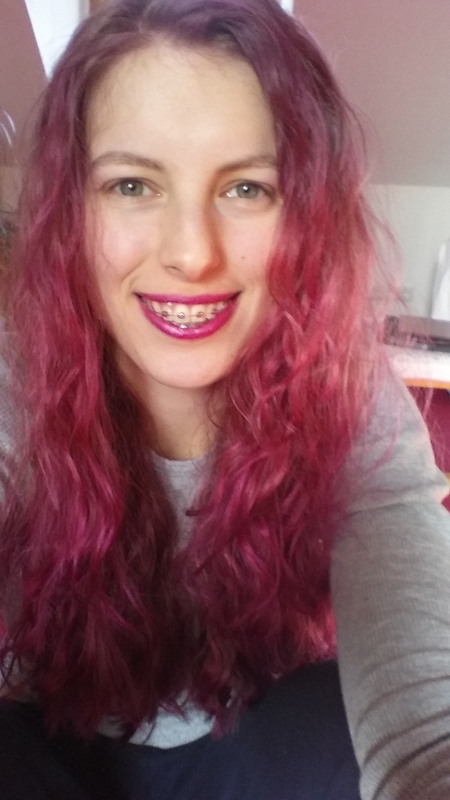 This week’s special: My pink hair! It was my winter sickness. Everything is all right in the summer. When autumn comes, I get grumpy, but then there’s my birthday in November, Christmas in December, then New Year’s Eve and I’m having fun and all that. But then comes January and the world is grey and my skin is pale and there are no fresh fruit or vegetables and my life turns bleak and boring. And then I really want to do something drastic to my hair. Every. Single. Year. But alas, my sister and I have a pact to grow our hair so long that it goes past our bellybuttons. And we have 15 cm to go still. So cutting my hair was not an option. Last week, and I wrote about it in German, I tried to console myself with the fact that I’m learning to drive! I tried telling myself, that being a danger to everyone inside the car, as well as on the streets, was change enough to cure my winter boredom. And my lipstick matches my hair. Never been able to say that before! – Are you content with the colour? You have to like it, that’s what’s important. – I hadn’t thought it possible I could love you more! – Did you really dye your hair? – I didn’t believe them, when they told me you had gone pink!! 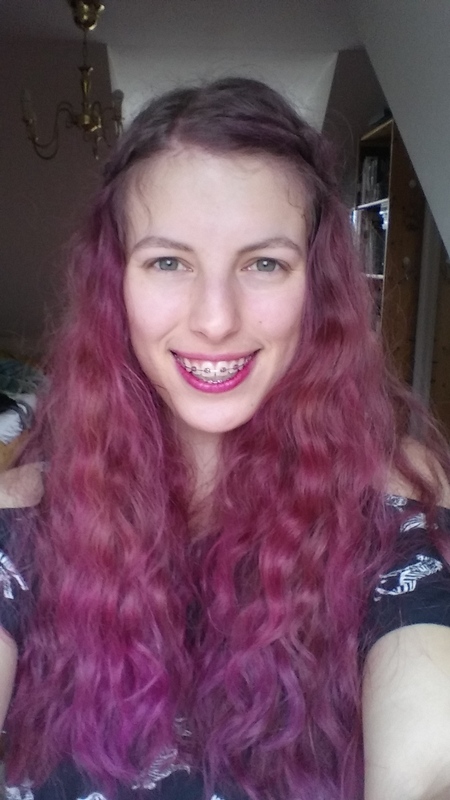 Well, yes, I really did temporarily dye my hair pink and I do love it! Tell me how you cure your Winter Boredom! Do you just suffer through or go out and buy a new house? I wish you all the best, especially my sister, who is celebrating her birthday today! !